Chilis Monterey Chicken is an easy way to make dinner. Melted cheese, bacon, and a little bit of barbeque sauce are all you need for this recipe. This recipe was created per the serving, so add accordingly. You can serve this with some rice and salad and you have the perfect meal. 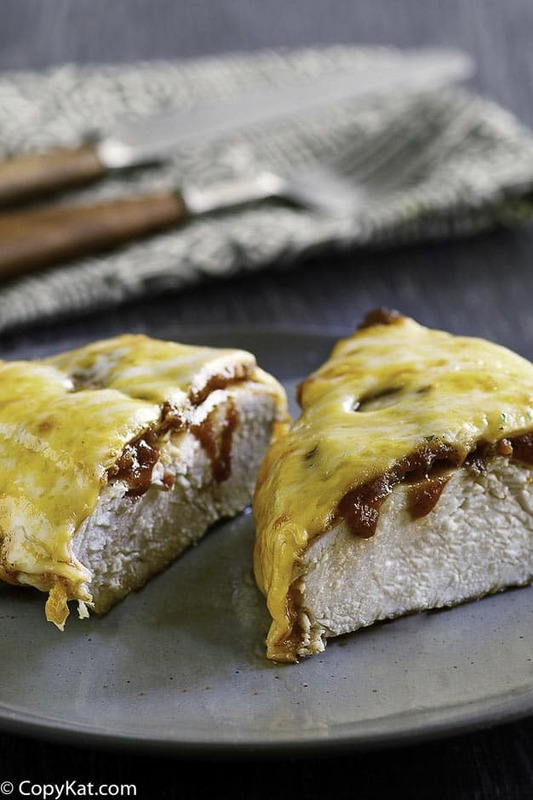 Chili’s Monterey Chicken is an easy way to make dinner. 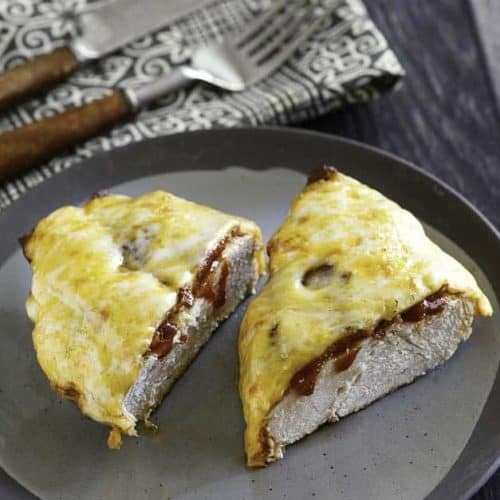 Melted cheese, bacon, and a small amount of barbeque sauce are all you need for this delicious dish, plus of course chicken! This recipe was created per one serving, so add accordingly. With some rice and a nice salad, you have the perfect meal. Or you could substitute mashed potatoes for the rice. In 1967, Chili’s founder, Larry Lavine attended the first Terlingua Chili Cook-off which was hosted in Terlingua, Texas, by Larry’s father-in-law, Carroll Shelby, the famous race car legend. If you’re not into car racing and aren’t familiar with the story of Carroll Shelby, you can click here to read about it. Anyway, Larry fell so much in love with chili cook-offs, that he eventually (in 1975) created the first Chili’s Grill & Bar in Dallas. Curious about the Terlingua Chili Cook-Off? It’s the Superbowl of chili cook-offs and you can read a fun article about it by clicking here. Now we are all used to the world of casual dining, but back in the day Chili’s was among the pioneers of this informal way of eating out. The first Chili’s had a laid-back atmosphere and, as well as chili, served up mouth-watering gourmet burgers in baskets. It was so popular that a long line of customers would be waiting outside and around the corner. Who would have thought it? What started out as a chili and hamburger joint in 1975 would turn into over 1,600 Chili’s in 33 countries. And, did you know that you can buy shares in Chili’s, Inc. – it’s listed on the New York Stock Exchange with an appropriate stock symbol – EAT. Read the full story of Chili’s by clicking here. When you announce that Monterey Chicken is tonight’s dinner, you’ll get hugs, smiles, and thank you’s… at least until it’s time to do the dishes. It’s a good feeling. Everyone needs a few recipes like this one in their life. It tastes just like Chili’s, but you can enjoy it in the comfort of your home, any time you want. 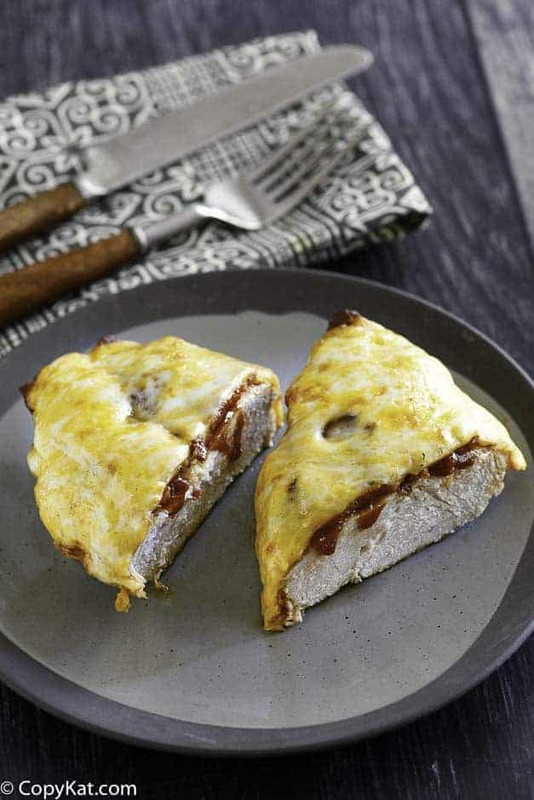 Serve up restaurant style chicken breast with melted cheese and barbeque sauce. Pound chicken breast until it is somewhat flattened, and season with salt and pepper. Spray Pam in a nonstick skillet, and cook chicken breast until it is done. Transfer to a serving plate. Top chicken breast with Barbeque sauce, bacon, and cheese. Broil chicken breast in the oven, or melt the cheese in a microwave. Sprinkle with a small amount of cold chopped tomatoes and chives. This was AWESOME! The husband and the seven year old loved it!! Gotta make sure the bacon is extra crispy, though. So simple! Great go-to meal! This is so easy to make. I am so happy you enjoyed it. I am looking for Chili’s copykat recipe for their bbq sauce which I love. How do you make the mashed potatoes and black pepper gravy that goes with this dish? I will note your request. I loved this recipe it was so easy to make and it tasted great! We will be making this again.